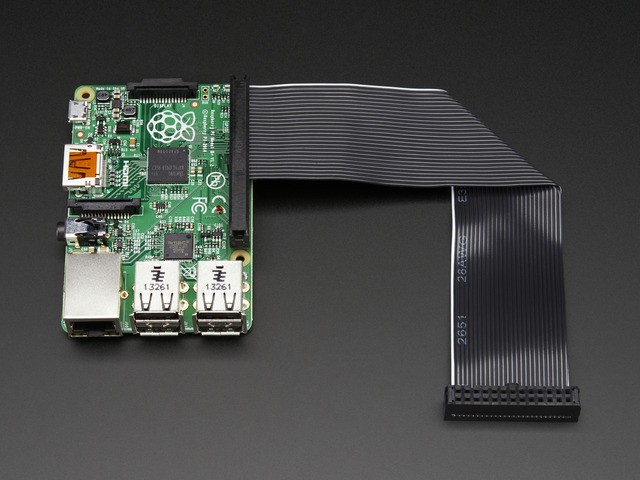 Does your Raspberry Pi or BeagleBone Black project need a display that's a little more capable than a small graphic LCD or OLED? Perhaps you want to display full color images and text, but don't need a full blown 'shield' like the PiTFT. 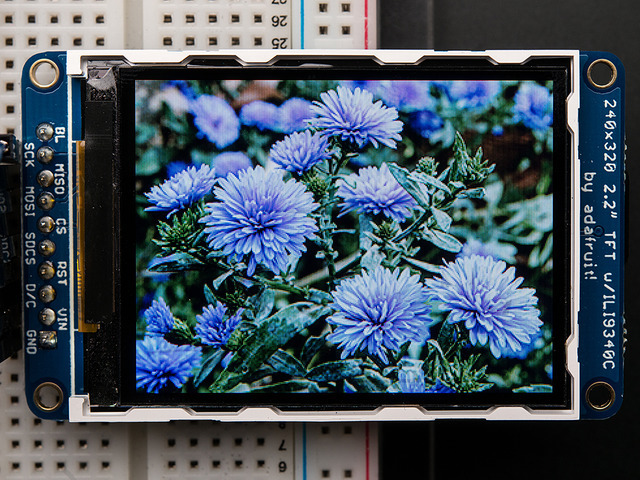 With the ILI9341 Python library and a 2.8" TFT display breakout you can add a large, colorful graphic display to your Raspberry Pi or BeagleBone Black project! Update 9/2014: This library should work with the 2.2" TFT too! Check out Matthew's blog post if you are curious to see more details. 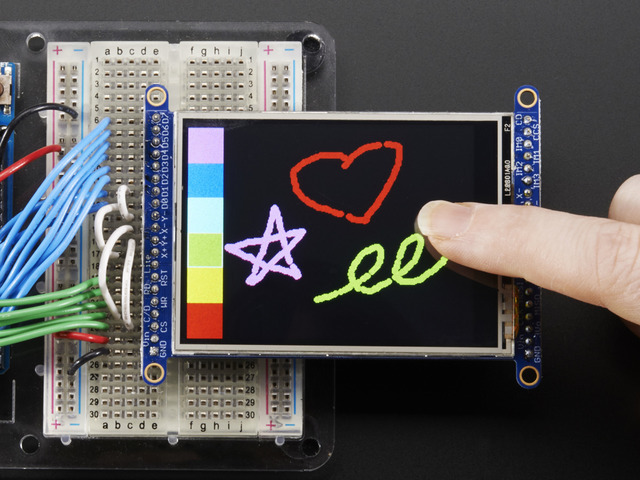 This guide will show you how to wire up, install, and use a Python library to control ILI9341-based displays like the 2.8" breakout in userspace SPI - that means you don't need a kernel! 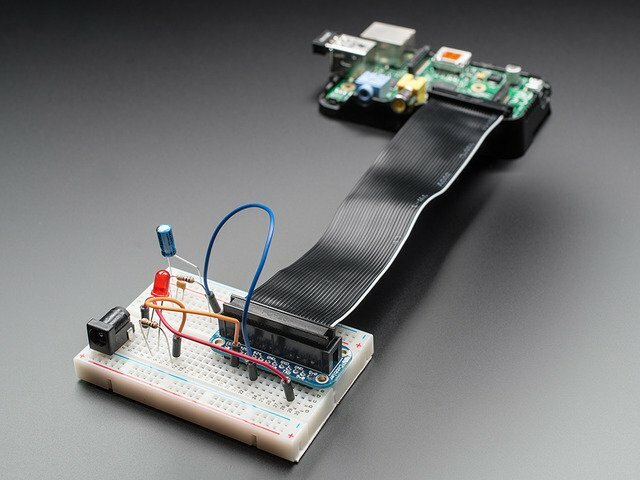 This library uses an SPI connection and a couple GPIO pins to control the display, leaving many other pins free for your project's needs. 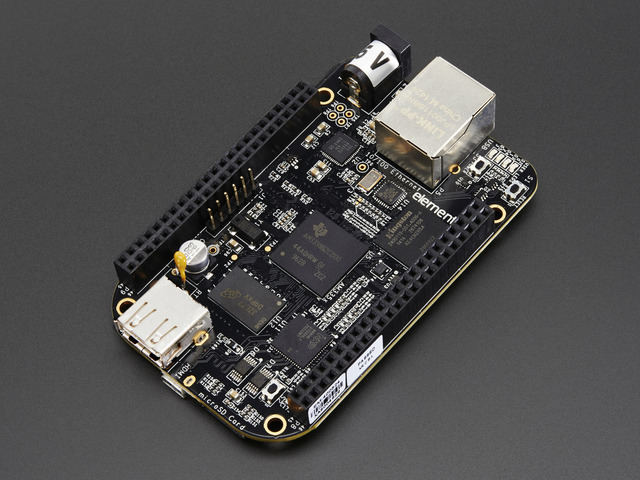 Because this library is implemented in Python there's no need to use a modified kernel or kernel module to use the display. However this means it's a little slower to control the display than kernel framebuffer-based displays like the PiTFT. This Python library is best for displaying images, text, and basic graphics--animation or fast updates (more than ~5-10 frames per second) won't work! Before you get started it will help to familiarize yourself with the 2.8" TFT breakout guide. 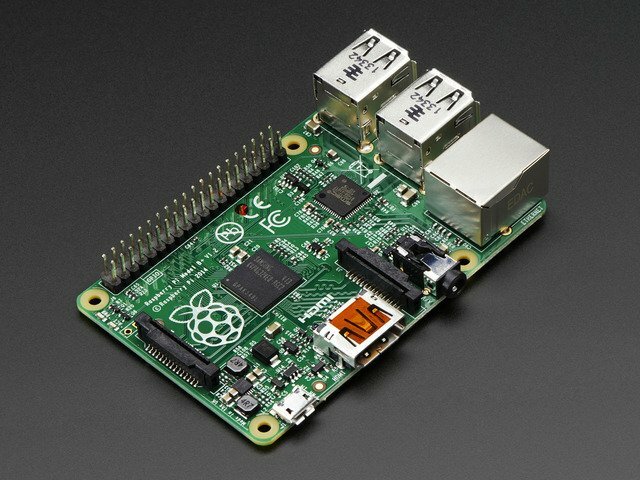 You will also want to make sure your Raspberry Pi is running the latest Raspbian operating system, and your BeagleBone Black is running the latest Debian or Debian-based distribution like Ubuntu.